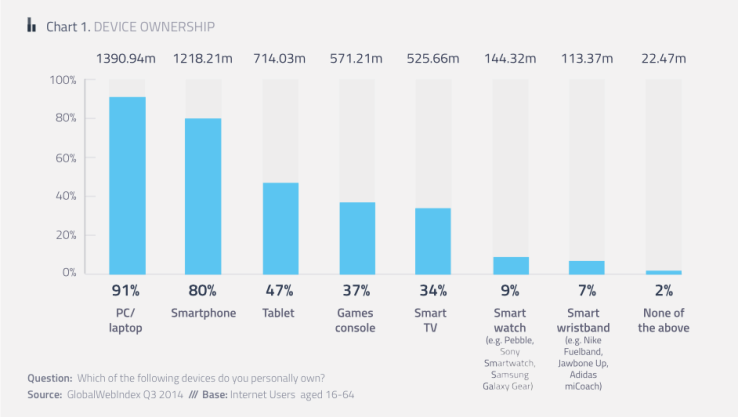 Smartwatches/Smartbands have gained popularity but only 9% users own a smartwatch and 7% own smartbands. According to the survey, smartwatches are in no run with smartphones which 80% of the survey population owned. 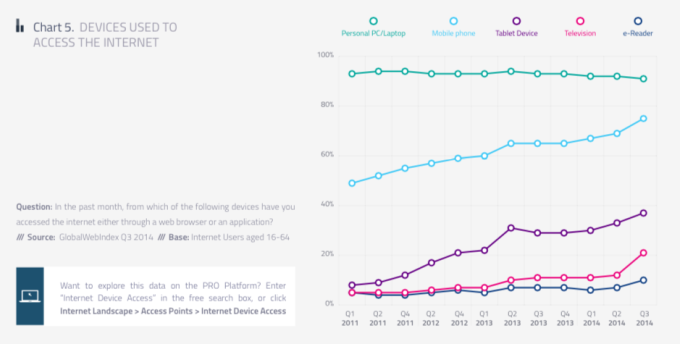 The proportion of smartphone ownership has reached a new high, but it has not yet overtaken legacy ownership and usage of PCs, which is currently at 91% of all online adults. According to The Global Web Index, 75% of the smartphone owners access the Internet using their smartphones. Furthermore, average time spent on the Internet by these smartphone owners is around 1.85 hours a day which used to be merely 1.45 hours per day back in 2012. The time duration is more in continents like the Middle East and Africa where it goes up to 3 hours a day. 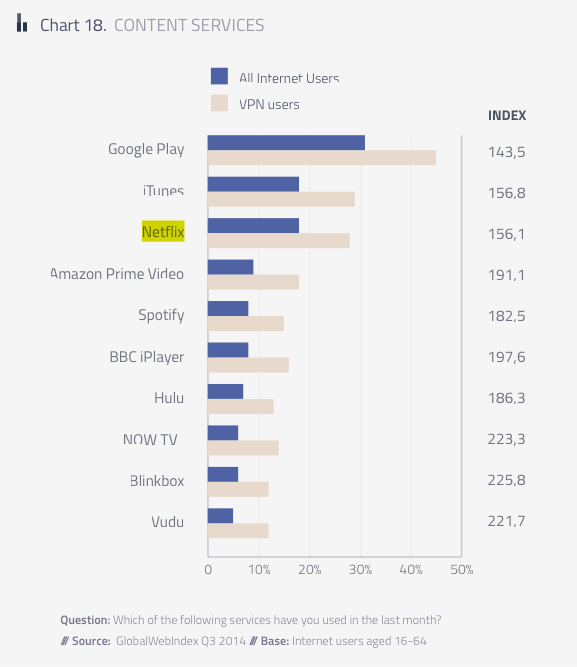 The research has also provided a list of various services accessed by VPN, and Google Play Store tops the list closely followed by iTunes and popular streaming services, like Netflix and Amazon Prime Video. This increased usage of Smartphones and mobile internet usage has given way to more advancement for App development across all the platforms thus giving developers a scope for more innovative Apps. Pocket App has years of experience developing Apps for various industries and reputed clients.